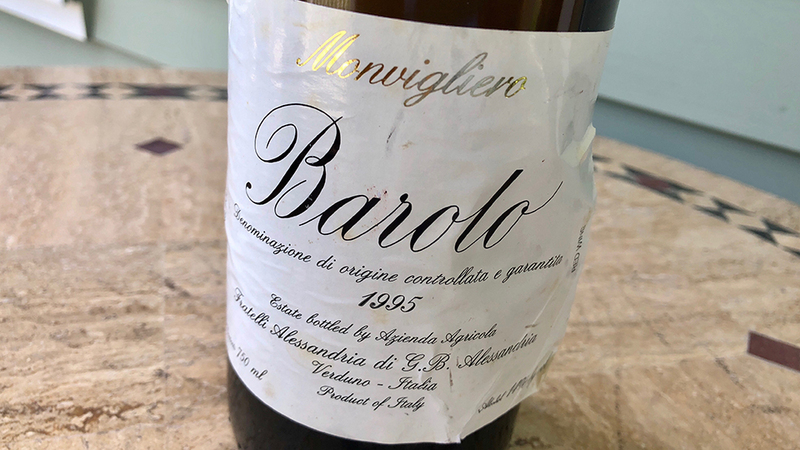 Fratelli Alessandria’s 1995 Barolo Monvigliero provides a fascinating look into an early wine from an estate that has joined the ranks of the elite in recent years. Nineteen ninety-five is also a vintage that is really peaking today, with a number of wines showing better than they ever have. It was not an easy growing season. Hail was an issue in many spots, although Verduno and Monvigliero were largely spared. The wines have always been tough, with big, coarse tannins that needed quite a bit of time to soften. Today, Alessandria’s 1995 Barolo Monvigliero is gorgeous. Hints of volatile acidity blow off with air, revealing a dense, powerful old-school wine endowed with serious depth from the vintage and three years of aging in cask. Somber and muscular, the 1995 doesn’t show much of the seductiveness that is typical of Monvigliero, instead it is quite virile, with balsamic overtones that wrap around a core of dark fruit. These days, even the most classic Barolos are much more polished than they were twenty years ago. While Alessandria’s 1995 Monvigliero is not especially elegant, it does harken back to a super-traditional style that, for better or worse, does not exist much in Barolo anymore. There is something very human about the wine’s small flaws that make the 1995 fascinating and simply impossible to put down. I wonder why I don’t own more of it… 91/Drink 2018-2028.